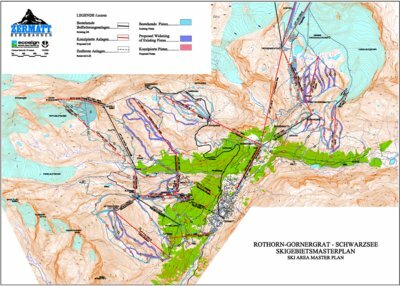 Map showing hiking, biking and summer ski routes during 2016. 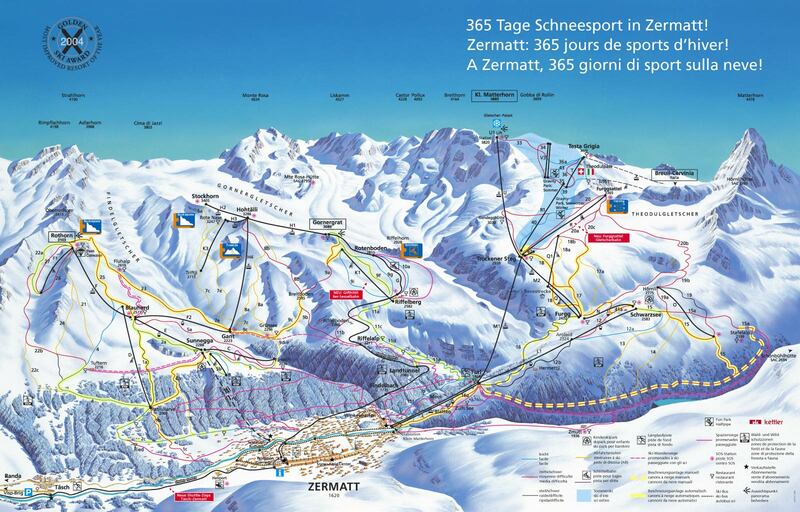 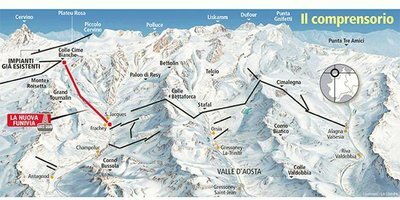 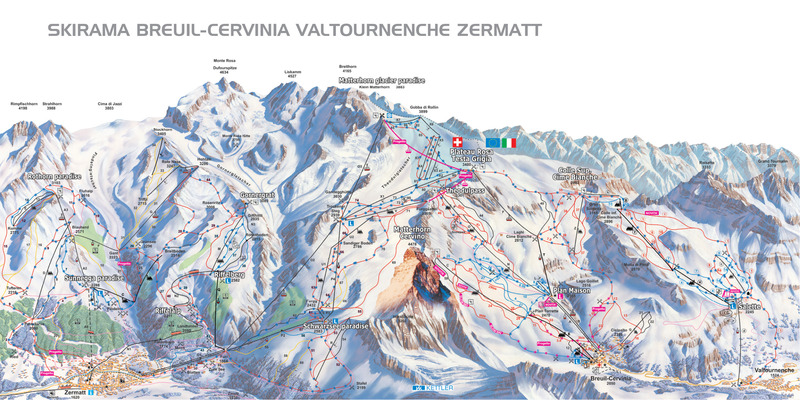 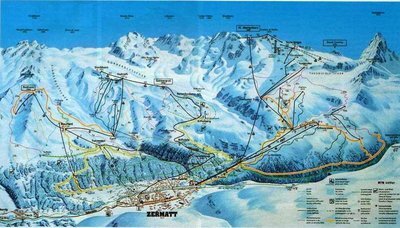 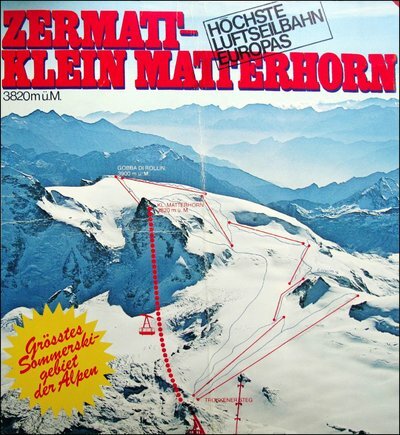 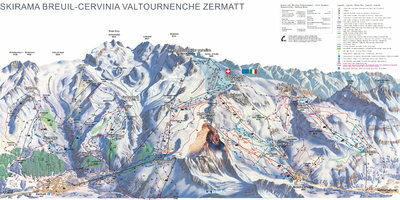 Map showing proposals for new cable car (Red) to link Zermatt/Cervinia to Monterosa ski to create a combined area of 530km. The lift is expected to cost 65 million EUR. 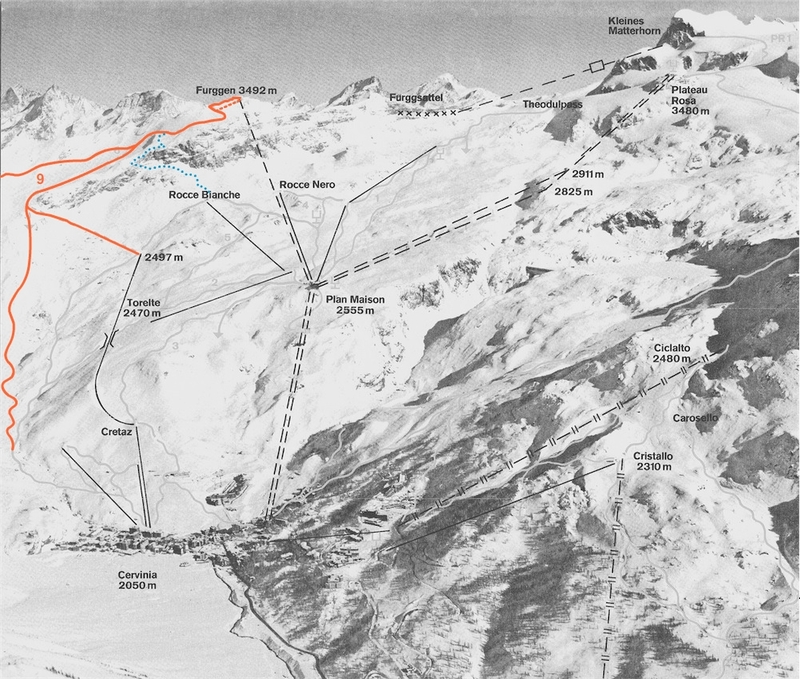 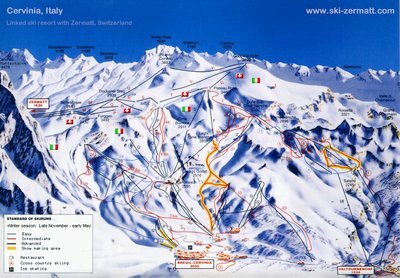 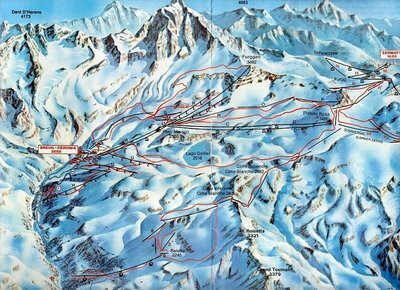 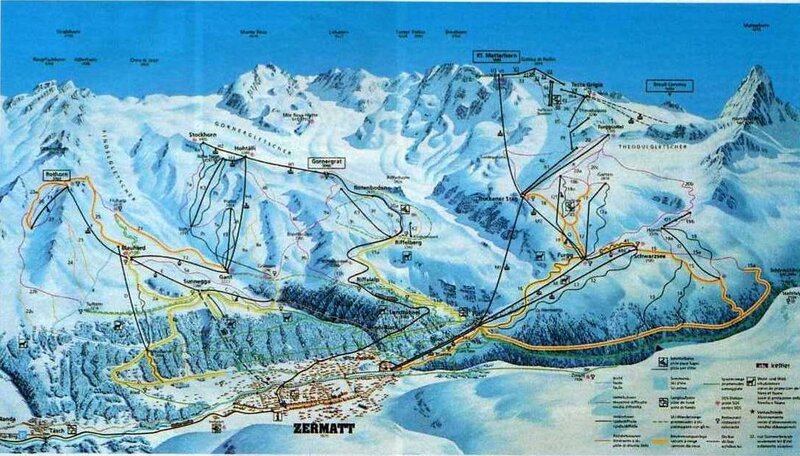 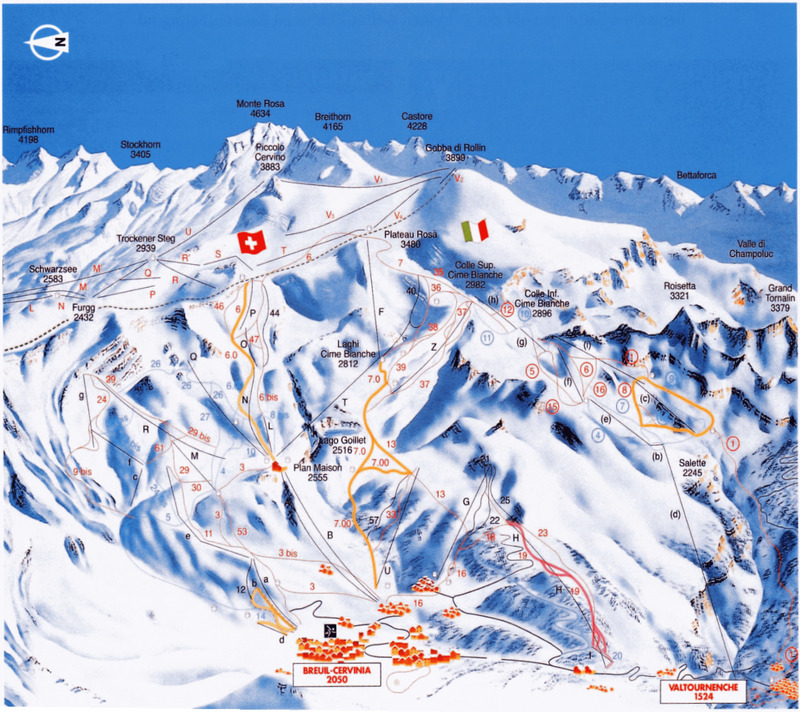 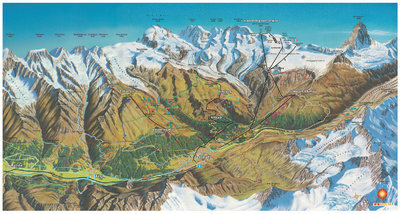 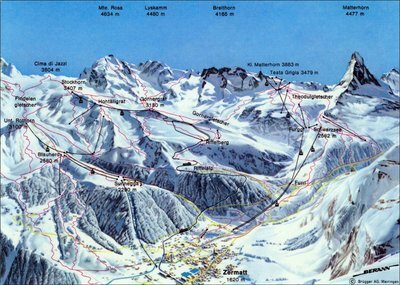 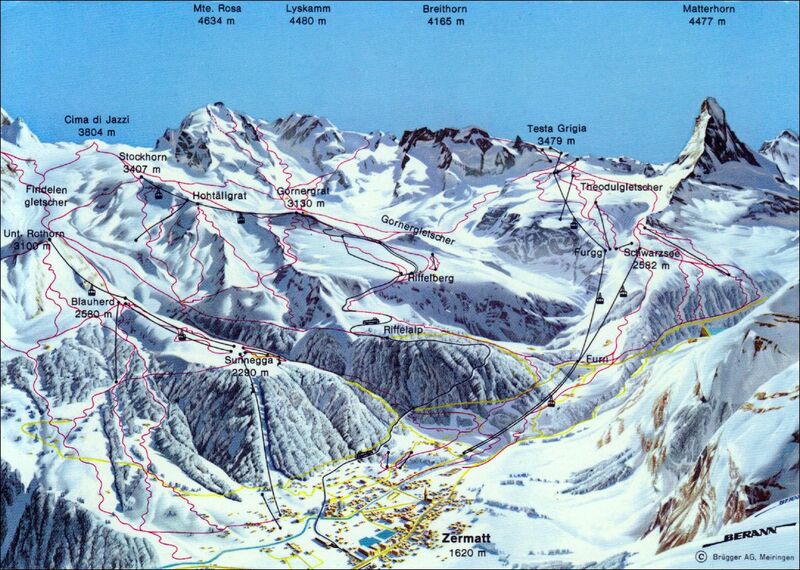 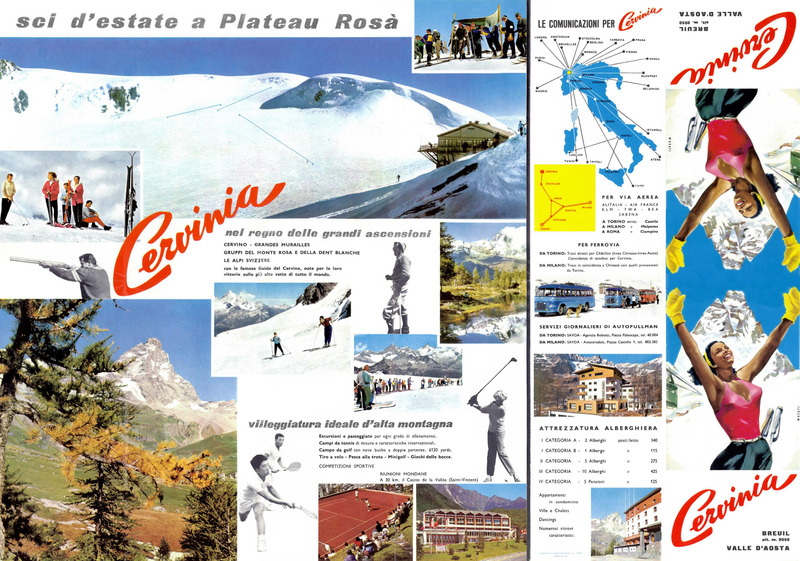 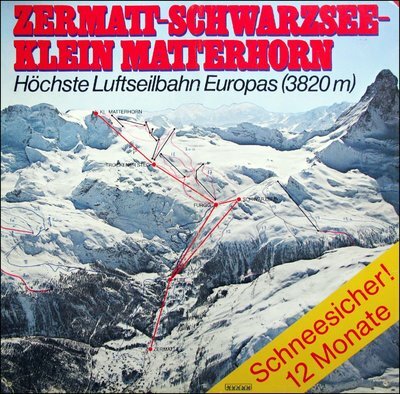 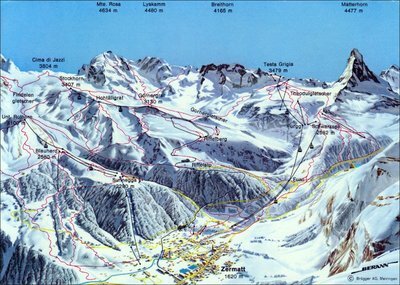 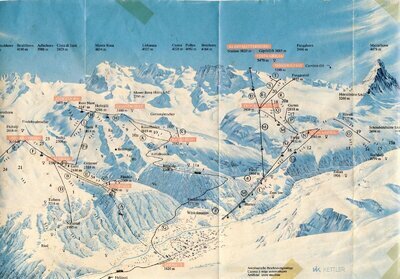 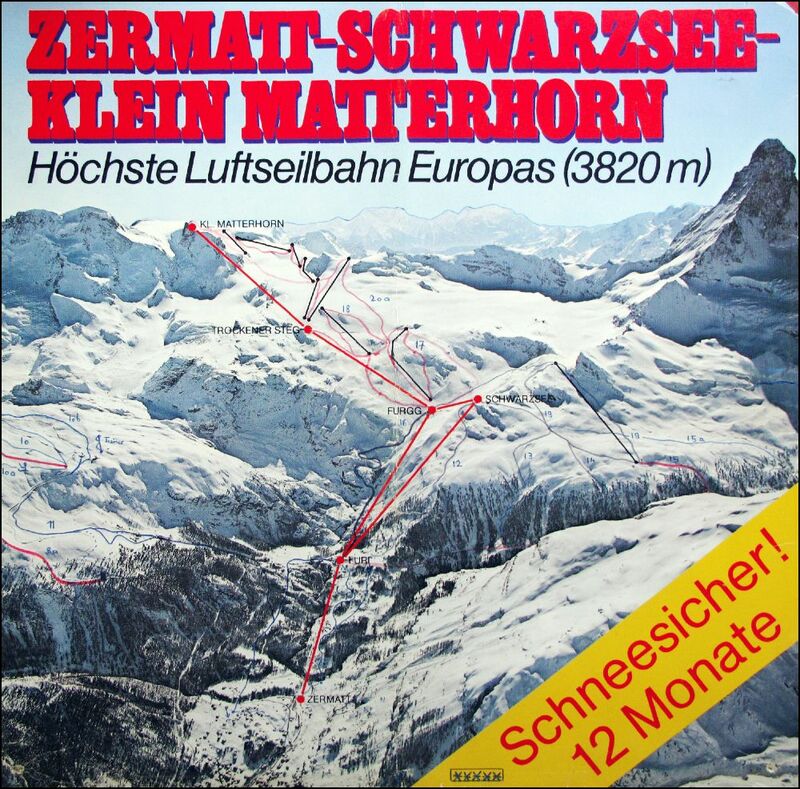 Map of Cervina piste showing the abandoned Furggen cable car (runs off this lift are highlighted in Red). Exact publication date is unclear but this lift ran from 1953 till 1993 and the map is likely to date from the beginning of this period.